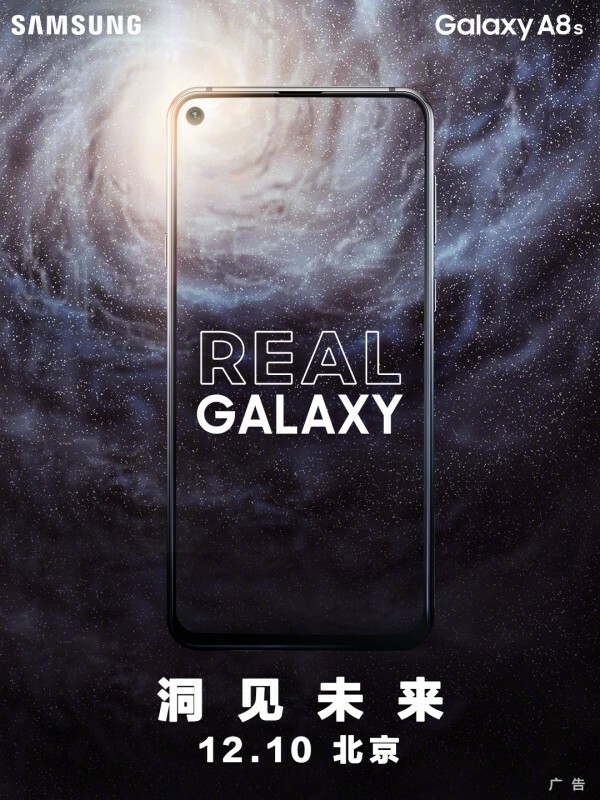 Mere hours after Huawei announced that it will unveil the nova 4 with a selfie camera inside the display on December 17, Samsung announced it will show off the Galaxy A8s a full week earlier – on December 10. The move is by no means coincidental – a fight to bring out the first phone with a screen hole has been on since late November. At this point it looks like Samsung will indeed beat Huawei to the punch, but things could change. The screens on both the nova 4 and the Galaxy A8s are LCDs made by BOE, but it’s said that Samsung’s phone is the the more premium of the two. Specs-wise the Samsung Galaxy A8s is expected to have a 6.3-inch 2340×1080 19.5:9 LCD, a Snapdragon 710 chipset with up to 6GB of RAM, a 24MP selfie camera embedded into the display and a triple camera on the back – likely a regular and an ultra-wide accompanied by a depth sensing third snapper.